Over the past 30 years, the Jeff Rodgers Basketball Camp has been held in countries such as Jamaica, the Cayman Islands, the United States and its home country of the Bahamas. Click Preview to see a gallery of some of the various publications that have covered the Jeff Rodgers Basketball Camp. 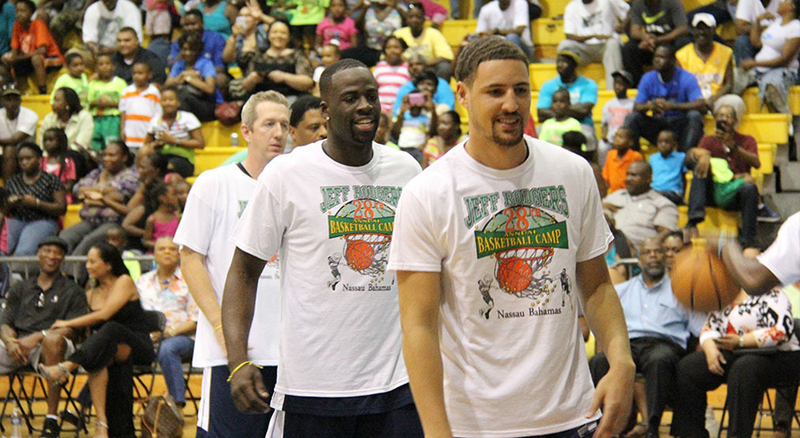 THE oldest camp in the Bahamas, the 28th version of the Jeff Rodgers Basketball Camp is set for June 29 to July 24. The camp, held 9am to 1pm daily at the Kendal Isaacs Gymnasium, will cater to boys and girls between the ages of five and 19 and will use as its theme: ‘Building Healthy Bodies with a Positive Mind. "Holding the summer camps is like a ministry, during which he not only teaches the game, but also instills notions of integrity, respect and discipline."